In 1963, when the first hit I produced, “Meet Me At Midnight Mary” was going up the charts, every songplugger I knew was pitching me Tunes to get on the next date. When it was Bob Reno’s turn, who was working at George Paxton music, he came in to see me empty handed and admitted that he didn’t have any songs that he felt was right, which immediately impressed me. After that incident I was eager to hear anything he wanted to play me. He turned out to be one of the good guys in the “neighborhood” (The Brill Building). He was always looking out for me and all of his friends. When the Duprees (“You Belong To Me”) broke up, Bob Reno brought Ron Dante (“The Archies), Jerry Keller (“Here Comes Summer”), and me to his boss, George Paxton to do a record under their name. Nothing happened with the track, but it gave me a chance to see how Coed records worked and how Adam Wade and the Crests were made. Bob loved a master I produced and brought it in to his boss, who bought it and put it out under the name Terry Boyd. Even though Bob knew it was me singing with a fake English accent, he never busted me. Producer/ songwriter, and Felix the Cat cartoonist, Don Oriolo fondly remembers, “I was 16 years old and writing songs for my band in NJ and everyone seemed to like them….so I figured how hard could it be to get them published. Ahh, the naiveté of youth. I banged on door after door, publisher after publisher waiting at the Chock full of Nuts on Broadway between appointments. Just when I was about to give up I entered the offices of Coed records… “Hi, my name’s Don Oriolo, I’m a song writer and I have some great songs I’d like to get published.” Within a few minutes, the receptionist said, “go in, Mr. Reno will see you.” Wow….I couldn’t believe it…. Bob told me to play my best five songs. 10 songs later he stopped me, and said. “Not bad…you have a lot of talent.” I was bolstered by these words of confidence coming from an obvious professional. We talked for a while and Bob gave me lots of good advice. He asked me if I was sure that music was the profession I wanted to follow for my whole life, or was it nothing more than a hobby. Of course I said it was what I wanted to do, and to this day it still is what defines my life.” The next time I did some business with Bob was when he and my pal Neil Bogart were at Cameo Parkway, Neil running the record company, and Bob the publishing. They bought a master Mark Barkan (“She’s A Fool”, “Pretty Flamingo”) and I wrote, sang, and produced, “The Subway Train That Came To Life” and released it under the name The Third Rail”. Once again the record wasn’t a hit but it allowed me to see how Neil Bogart operated up close. Although Cameo was having #1 hits like “96Tears” by Question Mark and the Mysterians, the company was in deep financial trouble. Every day Reno would tell me another horror story about how Cameo was imploding…driving down it’s stock every day. As soon as I got any information about the company, I’d pass it along to my partner Kelli Ross’ father Irving Green, who owned Mercury and Smash Records. He quickly bought and sold shares in Cameo before the company was forced to stop publicly trading and made a killing! He was so grateful; he made a substantial (silent) investment in our company, which allowed Kelli and me to move from a two room office in the Brill Building, to a six room suite at 1650 Broadway, which once housed Aldon Music and later Koppleman and Rubin. I arranged a meeting with Mr. Green, Neil Bogart, Bob Reno in hopes they’d make a deal, unfortunately Kama Sutra moved a little faster and brought the dynamic duo into their fold. It wasn’t long before Bob was dissatisfied with the treatment and compensation he was getting for bringing producer Paul Leka and The Lemon Pipers “Green Tambourine” in, and discovering “Melanie”(“Brand New Key”), so I set up another meeting with Irving Green. This time they worked out a deal and Bob was brought in to run Mercury’s publishing company MRC, which had just been a holding company up until then. Joel Diamond smiles and adds, “I was working late in my office at MRC Music when one of the engineers from the recording studio upstairs came in and said that Paul Leka wanted to see me in the studio immediately. Paul was not only a great songwriter, he also had an illustrious career as a producer that included The Lemon Pipers, Harry Chapin, and REO Speedwagon. Artie jumps back in the conversation, “One day while I’m visiting Bob in his new office, my friend Lou Reizner, who runs the Mercury office in London gives him a call. Bob puts me on the speaker as Lou tells us about a two album deal that Mercury can get for only $30,000 if they act fast and guarantee a US Release. The artist is David Bowie, and the first album is called “Space Oddity”. Bob isn’t familiar with Bowie, but I am. I loved “Love You ‘Til Tuesday”” from his Deram album. As Lou continues to talk I put my thumbs up and without blinking an eye Bob says, “OK, You got a deal!” Maybe it’s just a sidebar to Rock and Roll History, but a negotiation I’m proud to have had a hand, or should I say a thumb in! Bob Reno comes over frequently for dinner, and my wife Sheilah loves to cook for such an appreciative guest. He’s is also one of first people to encourage us to use our psychic abilities. It isn’t long before we’re answering all sorts of seemingly unrelated questions that Bob says helps him understand his complex life as well as make business decisions. Special thanks to Lauren Reno for the pictures, Joel Diamond, Don Oriolo helping to put this article together. Artie nice story about my dear friend Bob Reno…And the photo is worth a million words. I am saddened to read of Bob’s passing. Back in the 60s I met him when I was trying to pitch songs. Though nothing happened with them, he was extremely encouraging to me. I am glad that he achieved an appreciable amount of success in the music business. It’s so good seeing Bob remembered and acknowledged in your book Artie. Bob impacted so many lives so positively and certainly mine with his extraordinary caring mentoring skills. He gave me the opportunity of a lifetime to work side by side with him and guided me in every step in signing huge hits for 9 successful years in the 1970’s together. In addition to sensing great songwriters and producers and how to manage them he had such a keen sense of recognizing and nurturing executive talent as well. Cory Robbins, Founder of Profile and currently Robbins Records and I talk very often of the impact Bob had on our lives and how his mentoring set us on a path to be able to continue producing Top 10 mainstream hits all these decades later. Tommy Mottola called me last week and told me he is in the process of writing a book as well and that Bob will be absolutely remembered in it as a great influence. So glad to read an article about Bob. Seems so little has been written about him. Great photo too. Bob gave me my first job in the record business at 17 in 1975 after I met him in the lobby of 1650 Broadway. A fascinating man who I still often think about. You did it again, my friend! Unlike 7 degrees to Kevin Bacon, I vote to narrow that to about 2 degrees to you! Of course, we now have some other connections, but if Bob Reno was responsible for MEET ME AT MIDNIGHT MARY, then that’s another connection–the recording artist, Joey Powers, was (in the 70s) subsequently a booking agent for a band I was in. Geez…back then I didn’t know about Joey’s past! Thanks for the great stories behind the stories! I was googling tonight and found this article on Bob. 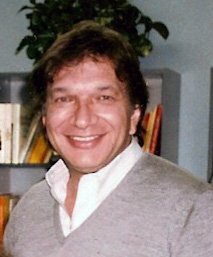 I was a kid in graduate school and he published my first song, told me it was a hit record, and made me feel like a million dollars. What memories!! Thanks, Bob. And Donny Oriolo–love you, guy. You are the best!!! Hey everyone, My name is Ken and Bob Reno was my uncle. It means a lot to me that you all speak of him so highly. He was very special to me and I miss him dearly. I have so many memories of him from my childhood such as when he took me to the bike store and bought me my first bike. I loved the holidays at my “Nana’s” when he and my aunt Lauren would come. He always slipped me a few bucks followed by a “shhhh, don’t tell your mother” I could go on for hours, but I will spare you that and just say once again thank you for reminding me what a great person he was. When I worked at Action Talents in the 1650 Building in 1968, Bob managed Paul Leka who produced our Artist The Lemon Pipers – “Green Tambourine”. We became friends and I set him up with The Peppermint Rainbow with whom he and Paul had a big hit, “Will You Be Staying After Sunday” on Decca. We had some records together when he was at Vangard too. I lost touch with him after Midland International by which time I was a DJ again and playing the heck out his material. Does anybody remember that John Travolta was on Midland? Through the years, I’v thought about Bob often and I am saddened to hear of his passing. The last time I saw him was on Don Kirshner’s Rock concert where he did a nice interview. RIP Mr. Reno. Cya soon. Yes, Bob would tell me stories about working with John Travolta at Midland. Bob was a huge influence on my life. Just to know him was a total honor and I will always treasure the time I spent with him. He was truly one of the great music men of our time. I miss him just as much as I miss my father. My heart is sad to find the Bob Reno pass away almost a year ago.He was a man who open maany doors for many artis. Including my husband J.R. Bailey on his label.When J.r. and I came up with the idea to record The Entertainer which he rudy Clark and Kenny William had wrote. With hopes for it to be use in the movie The Scott Joplin story.Mravin Hamlish got the job for his adaption.So we wnt to Bob with idea to change Jim’s name to Sir J.R.Bailey and gave him a mega phone to sing through. Everyone thought we were nuts.Everyone but Bob it was a gimmick.And Disco was hot. Good memories about a good man.I am sure he and J.R are having a good time writing and recording music in heavin. R.I.P Mr Bob Reno. Thanks for posting these memories of my friend Bob. Every time I hear his hits on the radio, he is remembered for his talent. He always made me laugh. He is missed. One more memory. I was hanging out in Bob’s office @ 1650 B. and he asked me if he should sign “this kid” John Travolta. I was like……NOOOOOOOOO. I’m glad he took my advice (NOT). I just came across this article and I am shocked to hear of his death. Bob and his wife were the kindest people and I have very fond memories of the both of them. I was 19 and Bob published a song of mine on Midland International. He also had me record 4 songs at Paul Leka’s studio in Bridgeport CT. In a business with many strong egos he was very unpretentious. I had just become a Christian at that time and I remember him sharing about his faith . I believe we will meet again one day in heaven and I will say a prayer for his wife and family. I know it’s been a while since Bob’s passing, but, during a phone conversation with Artie Wayne we were playing “did you know” when I asked if he had known Bob Reno. He said, “just Google Artie Wayne Bob Reno.” I did, and so here I am on this page. I don’t remember when I first met Bob but I have many memories, only a few here (I’m sure I’ll remember more later). 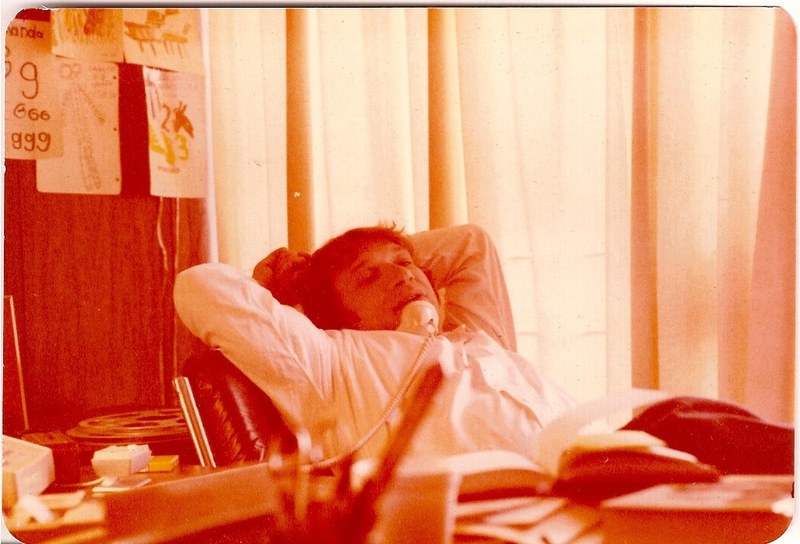 I had known Bob for a while when, as a young producer/writer, I needed a central place….an office and a phone. Having a place with a phone (rather than using the phone booths in the lobbies of Black Rock, 30 Rock and 75 Rock) was a luxury. At 1650 Broadway, Bob offered me a tiny desk and a phone by the front door where, for about 3 months, I could come in anytime and use that phone number as my own and have meetings. One day we were talking and he was telling me about when he signed John Travolta. He laughed about how it was a natural when he found out that the character Travolta played was Barbarino which sounded very close to his name, Bob Reno. Another way Bob played an indirect part of my life was when I was up at the offices of Buddah/Kama Sutra (was that 810 7th Ave.?). Anyway, I was waiting in the reception area for my appointment with Bob. While waiting to see Bob, a well dressed, yet hulking bear of a man, walked in, approached the receptionist and whispered that “Please tell Mr. Reno that Jay Hawkins is here to see him.” Well, although Jay whispered, his voice (what a voice!) carried and rumbled throughout the room. He sat down next to me. I said, “excuse me, but is that Jay Hawkins as in Screamin’ Jay Hawkins?” Yes, it was. Jay (flat broke, as I later found out) was up there trying to get another advance on royalties for some of his songs. (This is its own hugely long story (or feature film) which I won’t get into here.) However, that started my storied relationship with Jay. I ended up managing him two times (over the course of about five years), which I’ve always said was three times too many. LOL. So, none of those nutty experiences and crazy stories I have about Jay would have happened had we not both been there to meet with Bob. Bob was a great man. I wish I could have thanked him for everything he did for me. Thank you Bob Reno…a great man. We all feel the same way. The world would be a better place today with Bob Reno around to churn out hits, love his family and honor his friends. It saddens me greatly to just find out that Bob passed on. I lived in Hollywood for a number of years and we became great friends both in the music business and on a personal friendship level. He truly was a great man, always there as a mentor to struggling musicians and performers alike. He needs to be remembered as a gentleman who never turned anyone away,but listened and helped all he could. He was an ICON and should be remembered as such!!! R.I.P. dear Bob. Sad to hear Bob had passed. I met him as a young man back in the 60s. I was his auto mechanic.Even though Bob lived in Bronxville N.Y he would drive into Yonkers to let me service his cars.Being a guitar player wannabe we would talk about music while working on his car. He left quite an impression on me.He was definitely one of the nicest people I have ever met. RIP Bob. « PLEASE DON’T FORGET TO REMEMBER!